1) Francophiles rejoice: Berkeleyside reports on the return of an old favorite, Café Clem. After a four-year absence, the La Note spinoff opened at its new downtown Berkeley location (2020 Kittredge Street) on April 20. East Bay Dish notes that in addition to an array of salad, sandwich, and egg offerings, there's also an impressive pastry counter. 2) Berkeley sushi-bar-turned-brasserie Joshu-ya continues its reinvention under chef-owner Jason Kwon: In addition to tapas-style small plates, the restaurant now also serves Sunday brunch and a weekend-only Chef's Tasting Menu. Oh, and there's still sushi too. 3) Buzz around downtown Berkeley's soon-to-open upscale Mexican place, Comal, continues to build. Berkeleyside has more pictures. The restaurant opens for dinner this Friday, May 4. 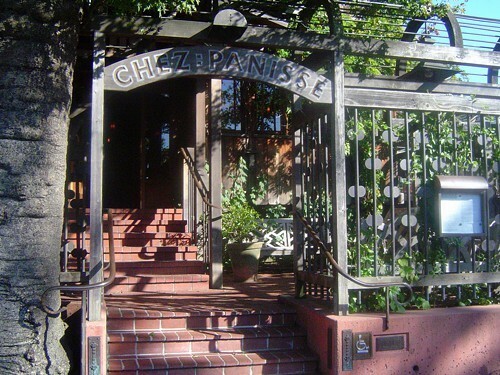 4) Chez Panisse makes its triumphant return to this year's S.Pellegrino "100 Best Restaurants" list, sneaking in at #98. How you like them apples, Michelin? 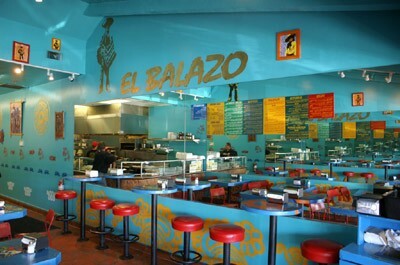 5) According to the Contra Costa Times, the owners of El Balazo, the once-thriving taco mini-empire that included locations in Danville, Pleasonton and Lafayette, were sentenced this week for hiring illegal immigrants and underreporting their wages. 6) Oakland North has a cute story about last week's Dumpling Wars event, held at the Oakland Asian Cultural Center. Chocolate mochi "molten chocolate cake" dumplings with raspberry sauce? Yes, please! 7) Bay Area Bites took a bicycle-powered group tour of the East Bay coffee scene. Thankfully, it looks like they scheduled plenty of bathroom breaks. 8) Finally, as reported here, lots of action in Adams Point: tonight's reopening of Kitchen 388 (with dinner service from 4:00 to 9:00) and Cameroonian food across the street at the similarly-named (but unrelated) Room 389.